I have twin nephews who live in the UK, and their 7th birthday is coming up. I always struggle a little bit with these cards - I don't want them to be the same, but I don't see them very often and therefore do not know things like favourite colours and interests very well. So I looked around for some inspiration. For the first one, I used the sketch for this week's CASE This Sketch Challenge, a Sweet Stamp Shop sentiment and a PTI number die. And for the second, I loosely used the artwork from the classic Pink Floyd album The Dark Side of the Moon, some Technique Tuesday stamps (after some very tricky stamp surgery) and a Memory Box number die. My boyfriend is a pink Floyd fan and immediately caught the reference. These are perfect for your nephews! OMG ... 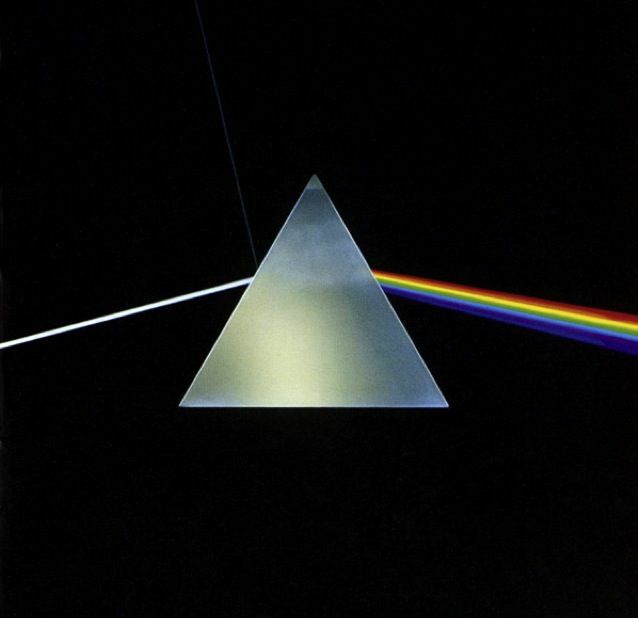 I LOVE your Dark Side of the Moon card!!! Can you make one with a 43 on it?! 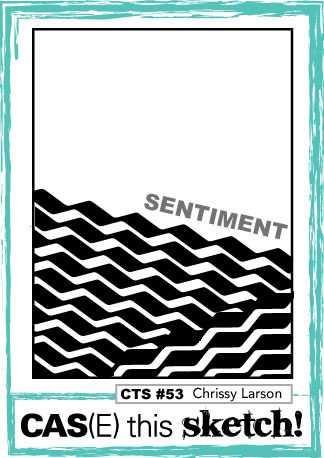 : ) The tilted sketch on your first card and where you put your sentiment fit quite well. The twins will love these graphic and colorful cards, Ardyth! Seriously cool inspiration photo and wow...you knocked them both out of the park! Great cards Ardyth!! Bol and perfect for boys. And the extra mile to make them similar is wonderful - I have twin girls and they would love that! Love the bold colors with black!!! So coolly. They will love them !! Love both cards - graphic heaven! Oh, these are both terrific! I'm sure your nephews will love them! So when you say stamp surgery, did you cut some stamps apart? If so, good on you girl cuz I am always too chicken to try it! 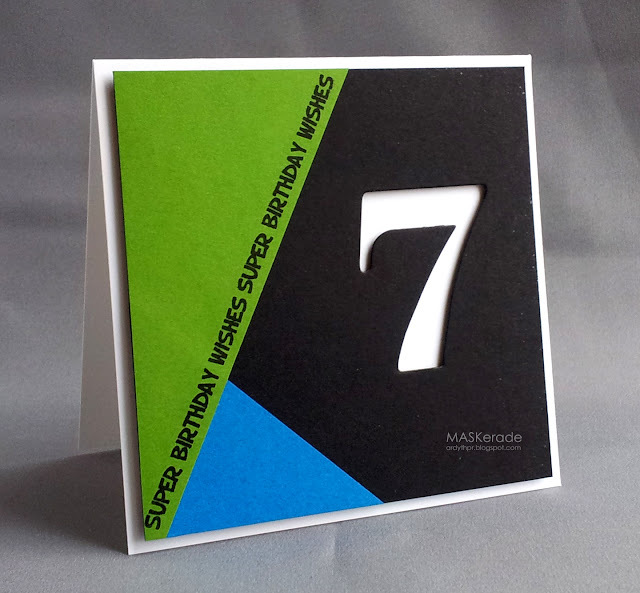 I think your nephews will love these cards - they are absolutely stunning! Super cool cards. Love your CAS design. Thanks for playing along with us in the CAS(E) this sketch! challenge and hope to see you again. As always, Ardyth, you wow me! These are both super awesome and I can totally see making an awesome card set with the first and just changing up the colors. Tons of fun combos! Two fabulous cards for young boys. These cards are brilliant and super! Perfect for males of any age. Perfect! Fabulous graphic feel and use of the numbers~ They will love these!! Fabulous designs, Ardyth! I love the graphic elements and the color combo is perfect on both cards! What a cool and clever autie you are! 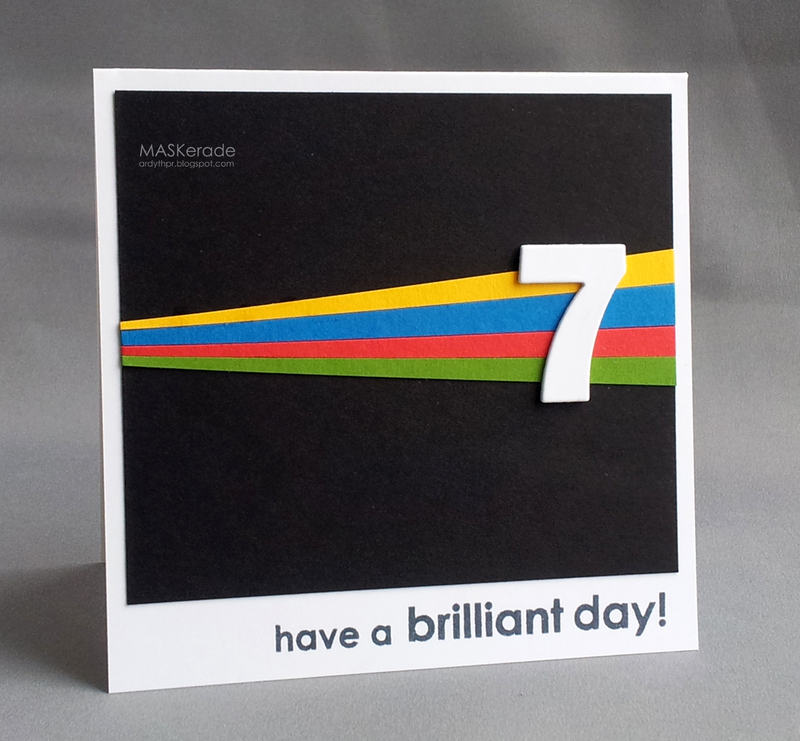 Fab cards for 7 year olds or any age! Love the graphic punch! Fabulous cards that I am sure the twins will be over the moon about.